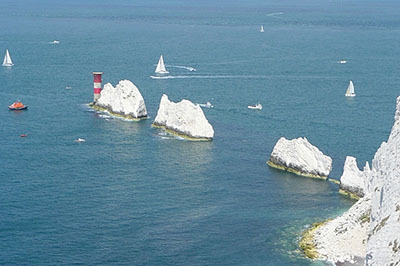 Summer sunshine with all those delightful events on the Isle of Wight during June and July. They attract large crowds and no wonder. Where else would one want to be! Festivals, the County Show as well as popular cycling events. Why not walk round the Island? That way one can find all sorts of out of the way nooks and crannies. It is the beginning of Carnival time, check the main Events on the Isle of Wight page for the full list. Yarmouth Old Gaffer's Festival There will be no Old Gaffers Festival in 2019. Thousands flock to this festival in Yarmouth every year. An Old Gaffer??? To those in the know it is a fore and aft rigged sailing ship. (Not an old country yokel!!) This lovely harbour is filled - the cream of the Old Gaffers fleet will be there, plus visiting traditional sailing, steam and motor vessels Masses of free entertainment on the shore. The Isle of Wight Festival will be held on 13th to the 16th June 2019. Festival of Archaeology 13th to 28th July 2019. Over 1000 events held all over this country that is so rich in prehistory. will form part of the 75th anniversary of the Council for British Archaeology. These events will form part of the 75th anniversary of the Council for British Archaeology. JP Morgan Asset Management Round the Island Race 29th June 2019. This is one of the most popular sailing event on the calendar, Entries are now open. Spectacular sight!!!! Royal Isle of Wight County Show 30th July 2019. One of those not to be missed county shows! Royal Isle of Wight Agricultural Showground, Northwood. Rhythm Tree Festival 12th, 13th & 14th July 2019. Three Gates Farm. Osborne Horse Trials 23rd and 24th July 2019. Osborne House. Charles Stanley Direct Cowes Classic Week. 27th July to 2nd August. Now in its 11th year. The Island has so many wonderful places just waiting to be discovered. Here are a few around some of the events above. Shalfleet is in the north of the Island with its own shop. The parish itself is really a collection of little rural villages on the shoreline. Very pretty. Newport is the county town of the Island and more or less in the centre. It lies on the River Medina which has been an important part of the town all its life, being the waterway to the Solent. The town makes a good centre for an Island visit as it is easy to get anywhere on the Island from Newport. 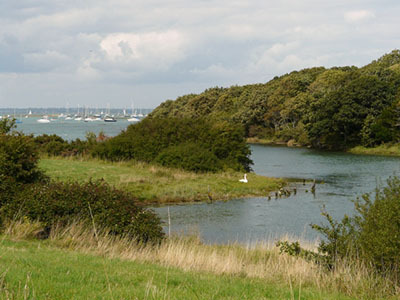 Northwood is in the north of the Island not far from Cowes on its southern side. Close to the Coastal Path. Yarmouth is the entry point from the mainland at Lymington. It is reckoned to be one of the smallest towns in the UK, but packs its own punch nevertheless. Venue for events throughout the year. Yarmouth Castle is owned by English Heritage. The lap of the Island taken by the Wight Ferry Sportive and the Wiggle All Wight Sportive is a very attractive one. It travels across the the centre of the Island, some of the east coast and all the south coast. A veritable Island tour all of its own! Actually would make a very pleasant holiday at another time, stopping here and there and exploring properly! 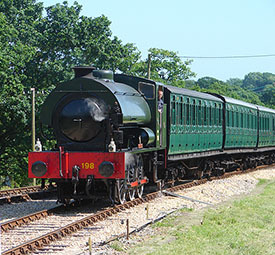 The Isle of Wight Steam Railway holds many events during the year and warrants a visit or two. It is a real pleasure for all the family, whether you remember the old steam trains or just love them. Runs from Smallbrook to Wootton. Return from Events on the Isle of Wight June and July to Events on the Isle of Wight. Mardi Gras 29th June 2019. Ryde Town Centre and Esplanade. Newport Main Carnival 25th July 2019.